I am the mother of a little boy who is obsessed with trains. Like, next level obsessed. Every single day we play with his wooden train set, pretend to be trains ourselves, read books about trains, sing songs about trains and watch tv shows about trains. To be honest, I would be quiet happy if I never had to see another train again as long as I lived, but somehow I don't think that is going to happen. 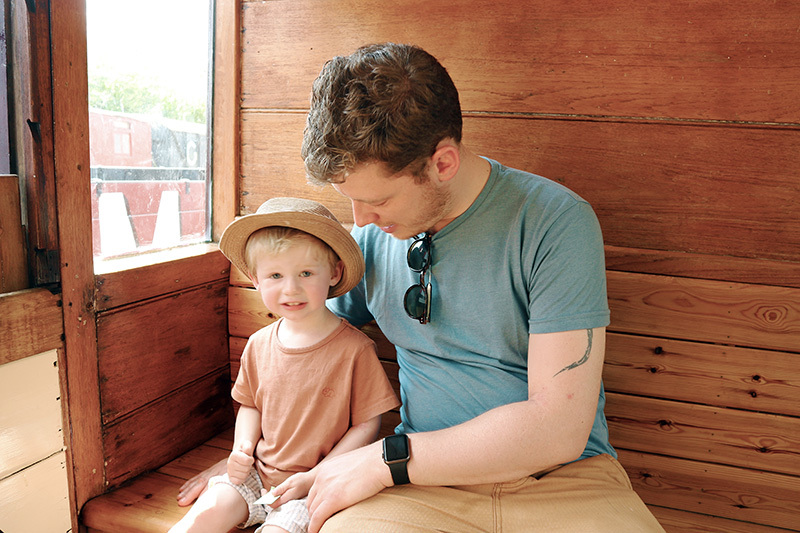 Of course Zach's favourite thing of all is actually riding trains, and luckily his grandparents found an absolute gem of a railway, hidden in the Suffolk countryside. 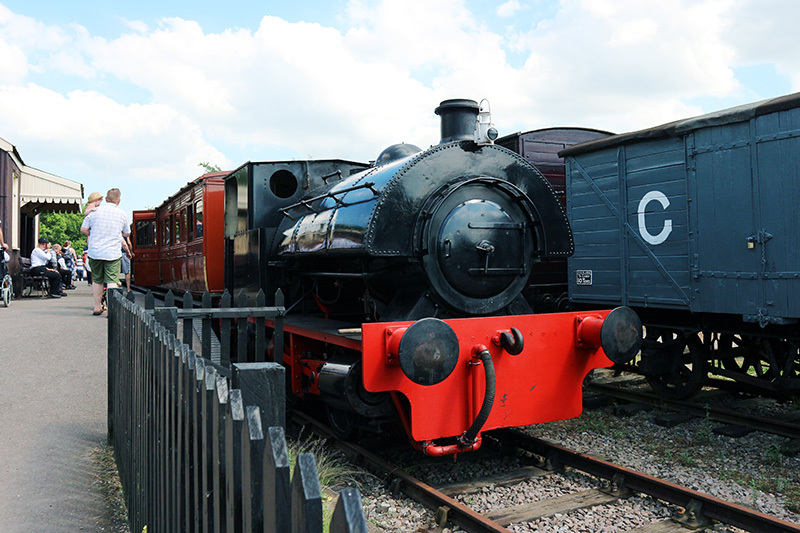 The Mid-Suffolk Light Railway, affectionately known as the Middy, is a museum and standard gauge heritage railway which is operated by volunteers. Once you buy a ticket it is valid for a year, and we've been twice already in the past few months! Our most recent trip was on Father's Day, which was one of the hottest days of the year. So hot in fact that the ice cream machine at the entrance the museum wasn't working as the ice cream had all melted. Despite my disappointment on the ice cream front we had an absolutely brilliant time, and Zach was totally in his element. There was one train running down the track, which takes you just a short distance before stopping at a little station for a few minutes and returning to the main station. If you get off at the smaller station you can go for a walk along the beautiful Suffolk fields, which is where we took our photos for the Me and Mine project back in April. 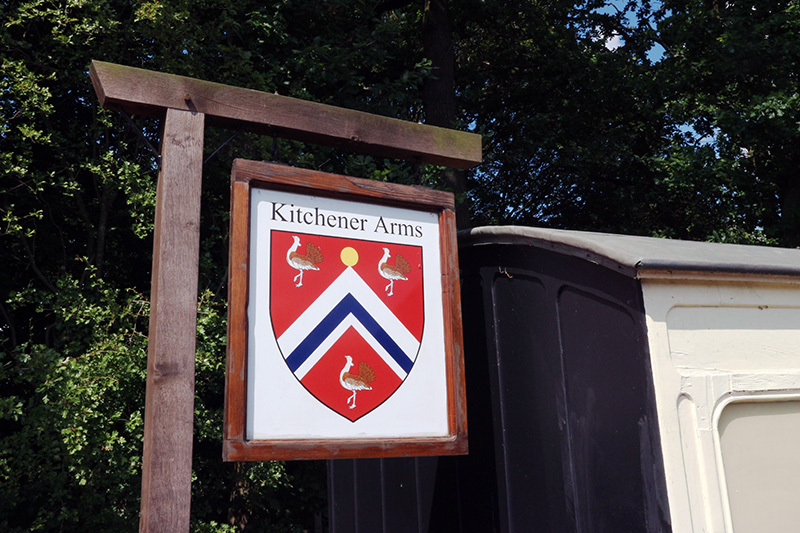 As well as the museum and train rides there is the quirkiest little pub called the Kitchener's Arms which has been built in a converted train carriage. 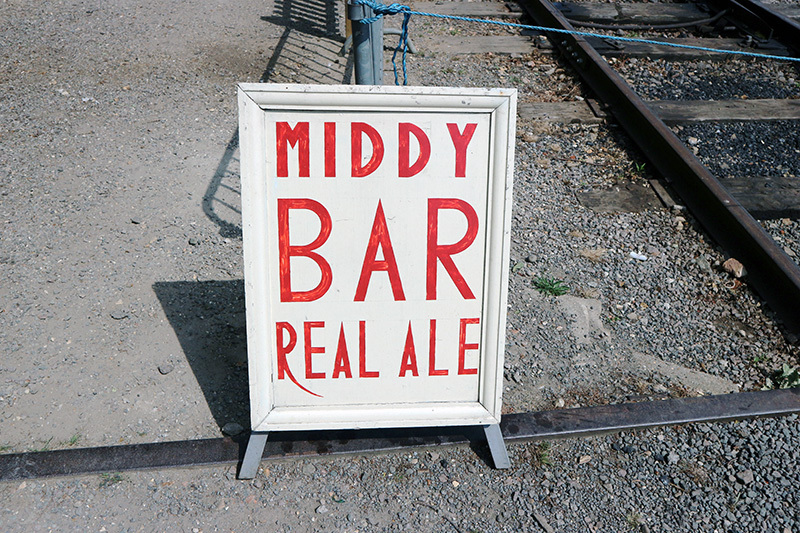 It serves real ale, as well as soft drinks and nibbles and all of those good things. 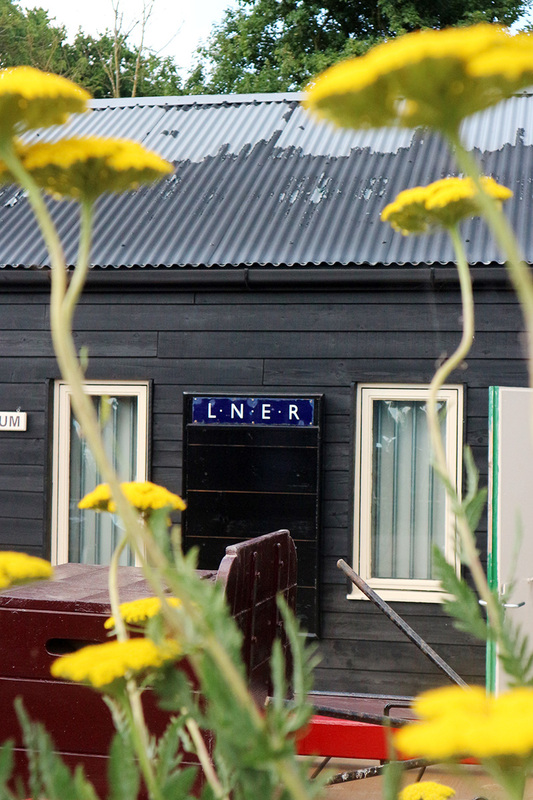 It is a really unique addition to the railway and is probably worth a visit to the Middy alone. If beer isn't your thing there's also a little cafe, but we haven't tried it yet so I can't give you my verdict on that one! 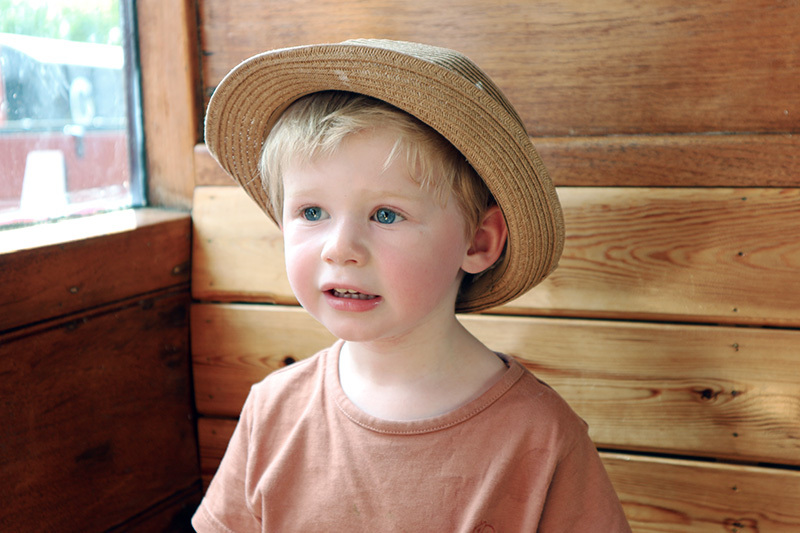 Of course, we spent every minute possible on the train, going up and down the track, and Zach couldn't get enough. I love watching him sitting on the seats, twitching with excitement, waiting for the train to start. The pure joy that Zach experiences as we begin to move is contagious, and the Middy has quickly become a place that I associate with pure happiness. The train itself has several different carriages, ranging from the cheap seats in third class, to the big, squishy, fancy ones in first. You can also ride in the guard van which is a really cool experience, and on our most recent visit they even let Zach wave the flag for the driver. 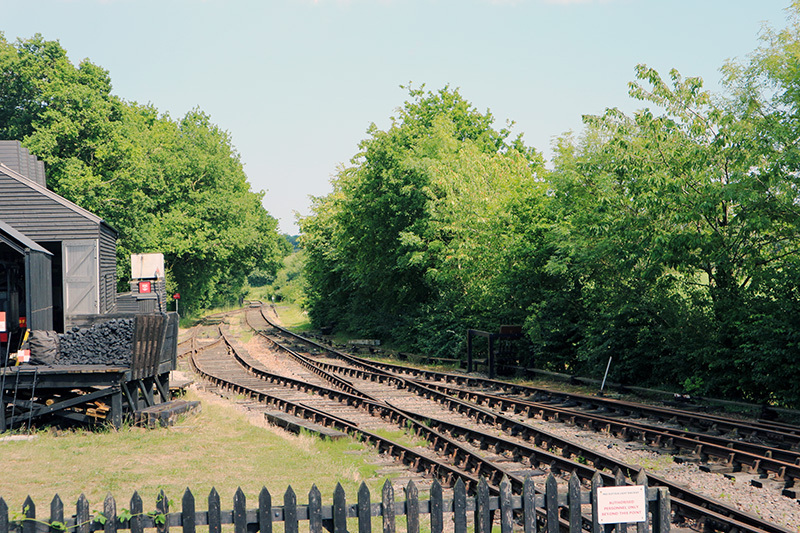 Although we've been twice now, and travelled up the same piece of track more times than I can count, we will definitely be visiting the Mid-Suffolk Light Railway again in the future. It has become one of our go-to days out, and I honestly don't think that Zach will ever get bored of it. As he gets older I'm sure he will start to find the museum side of things more interesting, and who knows maybe one day he will be one of the old men who spends their time keeping it running! 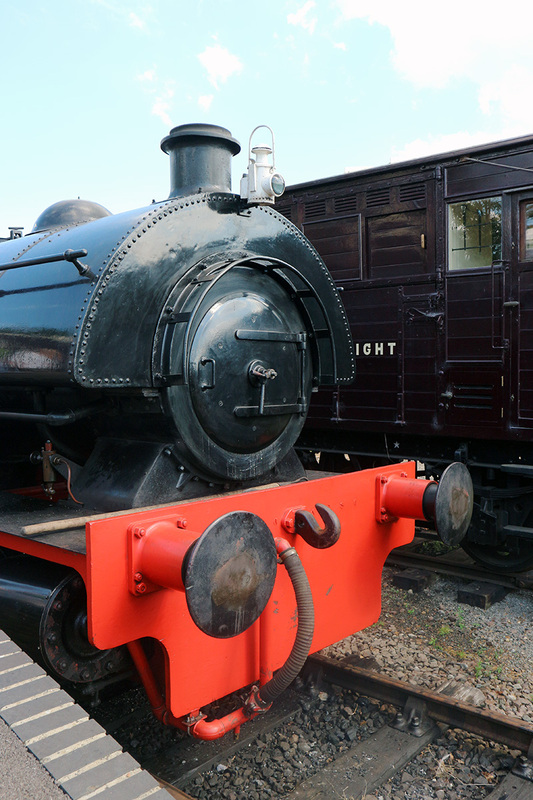 Have you been to the Mid-Suffolk Light Railway before? 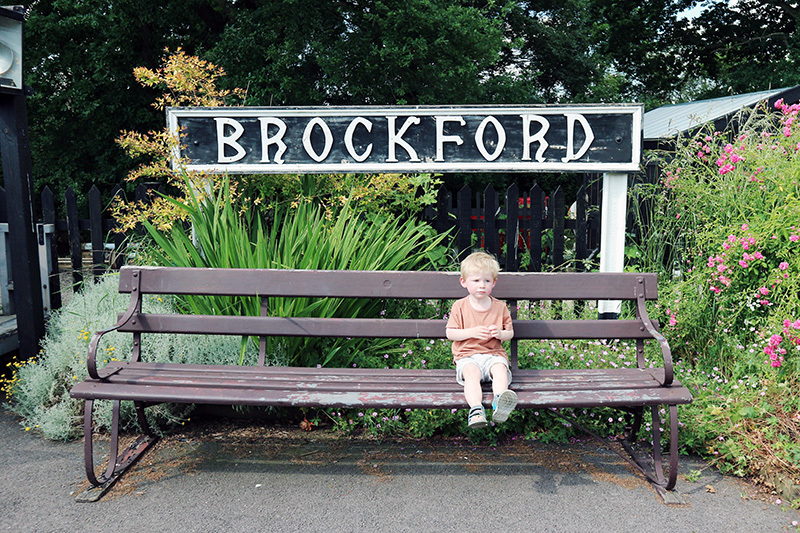 If not I definitely recommend a visit if you are in the area and have a train lover in the family like we do. To be honest, you'll probably see us there, as we're already planning our next trip back!